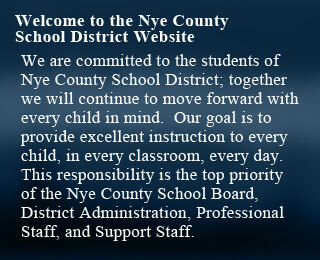 Nye County School District's Health Services provides a variety of services for each school within the district. 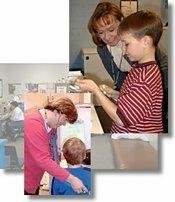 These services include scoliosis screenings, vision and hearing screenings, dental screenings and obtaining and updating immunization requirements. Health Services also works with the Nye County State Health Division to ensure that parents/guardians are provided further resources within the community. Health Services for the district are provided by a registered nurse, located in the south, Health Aides, which are CPR and first aid certified, are also available in the majority of the schools to assist in monitoring the well being of the students. The health aides are also instrumental in early detection of possible communicable diseases.